GERMANY: A 22-year-old Dutchman involved in the theft of refrigerant from refrigeration wholesaler Westfalen AG in July has been sentenced to two years and six months jail. The Münster outlet of the German refrigerant supplier was hit twice in July. In the first incident thieves got away with 851 20kg cylinders of R134a. Two weeks later, police were called to the same location at around 03.00 after witnesses reported a suspicious pickup truck adjacent to the premises. 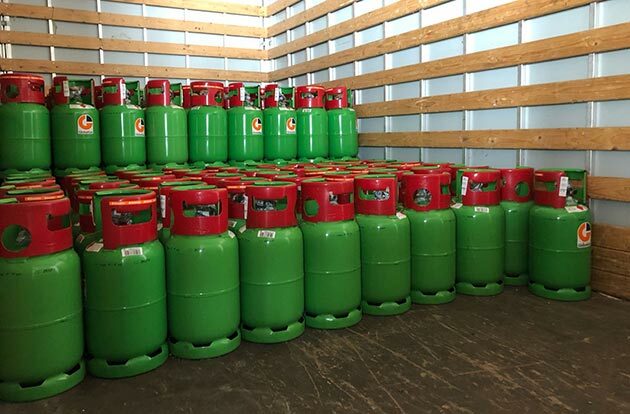 The truck had not been completely filled by then, but the perpetrators had already partly filled he truck with cylinders worth more than €66,000. The Dutch national was arrested at the scene, but three other thieves ran off. According to the Westfälische Nachrichten newspaper, the sentence went beyond the demand of the prosecutor, who had pleaded for a sentence of one and a half years, which could also have been suspended for probation. The defence had also requested parole. The 22-year-old pleaded guilty and his lawyer announced that he wanted to appeal the decision.